The Dangerous Goods Regulation (DGR) enables the logistics providers to prepare and document dangerous shipments. 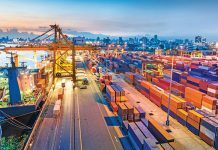 While DGR is considered the most up-to-date and user-friendly reference in the industry, CARGOTALK seek inputs from industry experts on the feasibility, scope and challenge of it in the supply chain sector. The LSP is definitely not responsible for doing the classification and identification of the dangerous goods substance on behalf of the shipper because he is neither qualified nor trained to do so, nor is he the manufacturer who knows what the composition of the substance is. The responsibility for classification of such substances lies with the shipper. Unfortunately, there are no such certified labs in the country that can carry out such a test. The second issue is the problem of producing and testing packages for carrying dangerous goods in accordance with the UN Model Regulation – test and criteria. We have only one institute for testing packages in accordance with the prescribed code and approved by DGCA and DG Shipping. The third bad practice is that DGR doesn’t apply when shipping by sea containers. The regulation is only in relation to placarding of containers if there are dangerous goods inside. Even for sea cargo, when shipped in container unless in bulk and loose condition, the dangerous goods must be packed in UN specification and tested, packaged, marked and labelled in accordance with the regulation. Such practices exist because of lack of awareness and training in the regulation and hardly any enforcement of the regulation by the authority. Many LSPs believe the need for training is only to get the DG Regulation training certificate to get IATA or such body’s accreditation as an agent. The logistics service provider must ensure a proper storage of goods in the warehouse after understanding the technical know-how from the consignor. Relevant documents like safety data sheet and test report must be kept at the place of storage and these documents must also accompany the consignment until it reaches its destination. The warehouse must be equipped with appliances in case of any mishap. However, appropriate knowledge of handling dangerous goods is a must and the staff handling these goods must undergo proper IATA and IMDG training schools. The logistics service provider must appoint at least two qualified staff at the place of storage of goods. With respect to packaging, IATA and IMDG Regulations provide packing instructions for all dangerous goods acceptable for carriage with a wide range of options for inner, outer and single packaging. The regulations limit the quantity of dangerous goods permitted within the packaging so as to minimise the risk. Secondly, suitable handling should be done to avoid an incident occurring at any point during carriage. In spite of being ethical and following every rule and regulation of dangerous goods handling, storage and transportation, an LSP cannot guarantee safe transportation because ultimately, one has to rely upon the documents and information about the products by the consignor. Lastly, to make transportation of dangerous goods smoother, safer and environment friendly, the bad practices followed must be avoided at any cost. In this regard, the carriers/agents must focus on the bad practices being followed at periodic intervals and take corrective measures. The carriers/agents need to understand the problems of the exporters of dangerous goods be it, pricing, restrictions, etc., and scale it to the relevant authorities so that proper action can be taken, which is good and in favour of all involved in the chain. The logistics service provider must ensure a proper storage of goods in the warehouse after understanding the technical know-how from the consignor. The LSP responsibility lies in ensuring that the dangerous goods being shipped, have been packed, marked, labelled and documented. There are no certified labs to do the prescribed testing in the country to carry out such a test. The carriers/agents need to understand the problems of the exporters of dangerous goods and scale it to the relevant authorities. One of the main challenges is that all the participants in the supply chain are not fully aware about the product and its handling, which leads to errors. A stringent regulation has to be in place for any misdeclaration. UN certified packaging systems must be used the way they were designed and tested. Traders do not have control over transport hazards, they safeguard their interests with insurance. Drivers keep many TREM cards belonging to chemicals transported earlier, in the vehicle cabin. This leads to confusion. Some tankers do not even carry any hazardous chemicals, but display EIP of a hazardous chemical which the tanker transported earlier. Packaging: While packaging dangerous cargo, shippers must ensure that they follow the guidelines laid down for packaging of the specific substance, the material is of good quality, the weight or volume of the package is in accordance with the guidelines (should not be over packed), and that there is no leakage or openings in the packaging. Marking and Labelling: All dangerous or hazardous cargo must be labelled with the correct description of the cargo, the classification and the listed UN number. 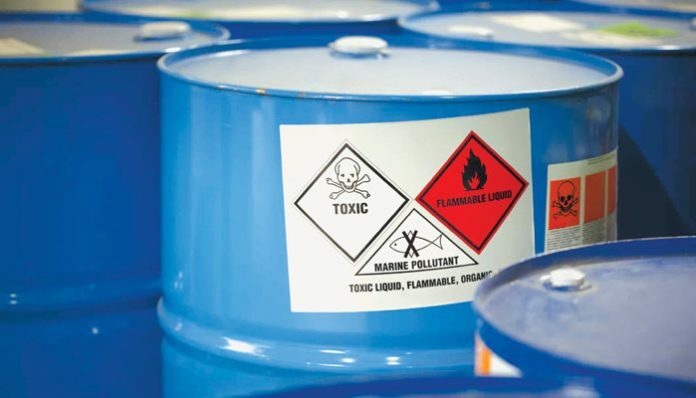 Documentation: Along with providing the information of the cargo on all regular documents of transportation, there is a separate form called Dangerous Goods declaration’ or ‘Haz Cargo declaration’, that needs to be filled when shipping hazardous cargo. Shippers must fill in this form accurately with all required information. DGR can only be harmful when not handled properly. Based on the nature of cargo and listed commodity, there is a guideline for minimum trained staff to handle it. It is quite similar to driving; you are allowed to drive any vehicle subject to a valid driving licence with a renewal clause as well. There are specified trainings for each one in supply chain from packers, shippers, forwarders, acceptance, loading/unloading, storage to screening staff etc., and if we all follow the defined rules, there is hardly any possibility to make a mistake. One of the main challenges are that all the participants in the supply chain are not fully aware about the product and its handling which leads to errors. The awareness campaigns and even trainings are not able to restrict bad practices due to lack of product knowledge. Sometimes, the combination of two different material can be turned out as dangerous. A stringent regulation has to be in place for any misdeclaration or ignorance as it is not just financial irregularity, but can be very harmful for human lives. Original packaging from certified or approved manufacturer is very important especially for airfreight. The ability of packaging to contain dangerous goods during transit is obviously critical to the safety of the transport. Only packages that are certified to have passed UN packaging standards tests should be used for dangerous goods. Though it is not just about having a ‘UN specification box’ so that the dangerous goods can be shipped. One cannot simply order a 12” x 12” x 10” UN Specification fibreboard box and drop what you have inside for transport. Dangerous goods must be packaged in performance oriented packaging systems specific to the hazards presented by the material. UN certified packaging systems must be used the way they were designed and tested. Otherwise the certification is no longer valid. It then becomes nothing more than a ‘UN specification box’ – not safe for transport and out of compliance with the regulations. With respect to road transportation, many bad practices are being followed. First of all, with reference to UN class label instead of correct fire symbol in red, a flower or some vague picture is painted. The information given in the EIP does not match with the chemical being transported. Secondly, drivers keep many TREM cards belongings to chemicals transported earlier, in the vehicle cabin. This, specially leads to confusion when the driver/cleaner runs away after an accident and emergency action is to be taken. In India, it is mandatory for the vehicles transporting hazardous chemicals to display Emergency Information Panel (EIP) with details and at places as specific under Rule 134 of the Central Motor Vehicles Rules, 1989. Manufacturers follow strict production and packaging standards but the real threat lies during transportation. Selection and use of responsible transporters is the first step. Loading, storage and securing of such cargoes is of utmost importance during transit. Selection of correct packaging and transportation medium, strict follow-up of hazards associated with the respective cargo, creating transparent paper trail during transit and ensuring that cargo remains on carrying vehicles for minimum possible times there by reducing any external accidental possibilities and other transportation threats.